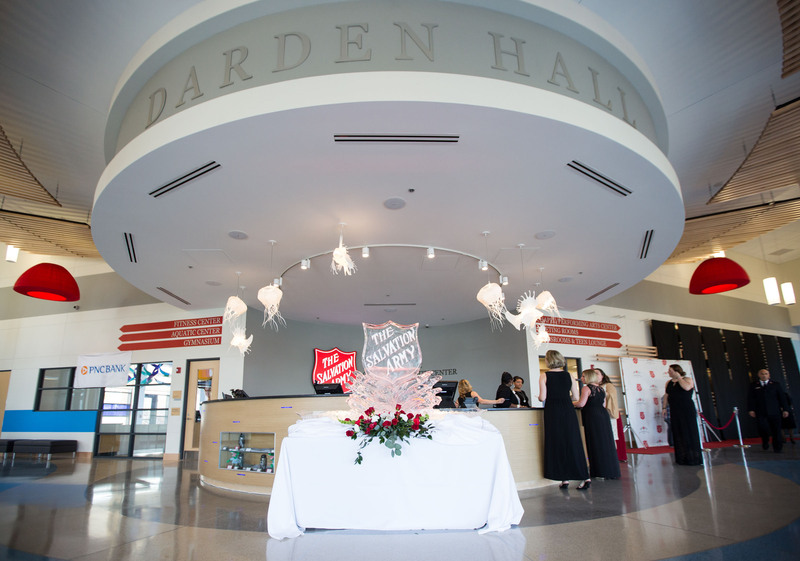 The interior of the recently opened The Salvation Army Ray and Joan Kroc Corps Community Center in Norfolk, Virginia. Photo courtesy of The Salvation Army. © 2015. From the acclaimed RoomMatch® array for The Kroc Center’s large spaces to perfectly-sized and highly cost-effective ceiling and surface mount speakers for the facility’s distributed systems, Bose® had the right solutions to deliver quality sound throughout the entire complex. Framingham, Massachusetts, April 27, 2015 – The Salvation Army Ray and Joan Kroc Corps Community Center recently opened in Norfolk, Virginia, bringing the number of The Salvation Army facilities put in place by the late Joan Kroc, widow of legendary McDonald’s entrepreneur Ray Kroc, to more than 25. Since 2003, Joan Kroc’s estate has supervised the establishment of these centers of opportunity, education, recreation and inspiration throughout the United States, using a 1.5-billion-dollar trust dedicated to that purpose. Each Center in cities including Atlanta, Louisville, Boston, Charlotte and San Francisco, is operated by The Salvation Army and offers activities ranging from sports and education to fitness and worship. The new location in Norfolk takes this community gem one step further: it is completely fitted with sound system components from Bose® Professional. In Norfolk, the 92,000-square-foot structure includes a 370-seat chapel/theater and multiple classrooms, as well as event rooms that are available for rent by local individuals and businesses. A large gymnasium and fitness area offer various health and wellness programs to the community. The Kroc Center also features an aquatics area that includes a multiple-story water slide, lazy river, zero-entry pool area, and lap lanes. The majority of these areas feature Bose loudspeakers and PowerMatch® amplifiers. Designed and installed by Bilbro Systems, a leading Atlanta-area AV integrator, each system fits the exact needs of their distinct space. Bose FreeSpace® DS 16F Flush-mount and DS16SE Surface Mount loudspeakers are installed throughout the facility in areas such as lobbies, dressing rooms and around the pool, offering full-range background music and highly intelligible speech for paging. Bose Panaray® MB4 Bass and FreeSpace DS100SE Loudspeakers are installed in the Fitness, Spin and Dance areas offering full range sound for a workout. In the Fellowship Hall, the Bose Panaray® MA12EX Articulated Array® provides wide 160-degree horizontal coverage and outstanding vocal intelligibility. Bose FreeSpace DS40F pendant speakers give The Kroc Center’s classrooms highly focused sound, allowing for excellent concentration. A Bose RoomMatch® loudspeaker system, made up of one RMS218 Sub, one RM9020 and two RM12020 modules, offers clear, musical sound for the chapel. The gymnasium features two additional RoomMatch arrays, each made up of an RM7020 and an RM9040 loudspeaker. The presence of both arrays in the gym allows for a unique benefit: the gym can now be split into two distinct spaces with the use of a room divider, each with its own sound system. A combination of the Bose ControlSpace® ESP-00 II Processor, an extensive Crestron® control system, and a Dante™ networking system allows audio sources from an event in one room to be routed to anywhere else in the Center for overflow crowds. Photo Caption: The interior of the recently opened The Salvation Army Ray and Joan Kroc Corps Community Center in Norfolk, Virginia. Photo courtesy of The Salvation Army. © 2015. The Bluetooth® word mark is a registered trademark owned by Bluetooth SIG, Inc. and any use of such mark by Bose Corporation is under license. Dante™ is a trademark of Audinate PTY LTD.